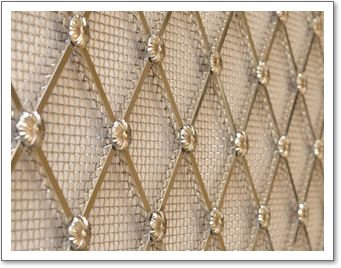 Brass Tacks are one of the largest manufacturers of decorative brass grilles in the UK. Brass Tacks are one of the largest manufacturers of decorative brass grilles in the UK. Most of the grilles shown on this website are manufactured in our workshop here in Eastcote. Decorative grilles are used for a variety of applications; they are mainly used in radiator cabinets, but are also seen in wall units, loudspeakers, air conditioning units or purely for decorative purposes. As radiator cabinets become more fashionable there are more grille patterns available. If you have previously seen a grille but cannot find it on this website, please contact our sales team and we will endeavour to source it for you. All brass grilles are supplied in a polished and lacquered brass finish unless otherwise stated. A number of alternative finishes are also available and are shown on this website. Grilles can also be supplied fitted into a frame: this not only enhances the appearance but also eases installation, as many frames just drop into position. Our bespoke floor grilles can be fitted in a wide range of locations from residential to commercial. We offer three finial options of our solid brass stair rods: Ball end, Acorn end or Tulip end. Each solid brass stair rod is supplied with a pair of hinged Stair rod eyes. To help create the perfect finish to any stair case, we offer a range of finishes including Polished Brass, Satin Brass and Pewter plus many more. Please see our different finishes page for that stylish bespoke brass stair rods finish. Stair Nosing is an ideal addition to help deliver the perfect finish to any stair case. They also provide heightened safety through visual distinctions and anti-slip properties. 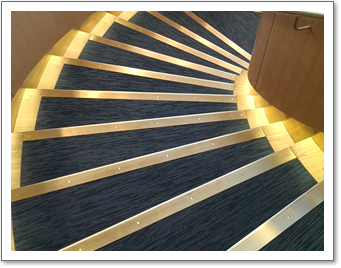 We offer a wide range of stair nosing, for both inside and outside, including heavy duty anti-slip stair nosing for areas that experience very high levels of footfall. Please see our stair nosing page to discover the range of different finishes and styles. Brass Stair Nosing– We offer an extensive range of finishes for our Brass Stair Nosing range to compliment any interior décor style. Aluminium Stair Nosing – There are different finishes available for our Aluminium Stair Nosing range including polished and satin. Heavy Duty Anti Slip Stair Nosing – These Stair Nosing are manufactured from highly durable materials and are able to be used in as a retro fix. Brass Tacks is a family run business established in 1983 in Clerkenwell, London. We are manufacturers of bespoke brassware supplying trade only. Based in West London, we specialise in decorative grilles, handrails and stair rods but can also Refurbish or Replicate brassware using traditional methods dating back to the 18th century. With over 85 years of manufacturing expertise to hand, there are not many projects that we cannot undertake. Brass Tacks have worked for a number of prestigious clients and have completed contracts at The Ritz Hotel, Harrods, The Royal Albert Hall, The Berkely Hotel, St Martins in the Field Church, County Hall London, Jaguar and Honda. We pride ourselves on attention to detail and aim to give every order or enquiry our full attention at all times. The majority of our business is from repeat customers and we work extremely hard to retain them. We work with Architects and Interior Designers as well as builders merchants, architectural Ironmongers, cabinet makers, joiners and carpenters and ensure your projects receive the best available brass products.